Game Of Thrones provides a gritty take on fantasy while keeping a very attractive cast of stars. Part of the illusion is coiffing hair and providing the right costumes and makeup to sell the roles. But what happens when you strip away the perfect golden hair and platemail? Behold the imgur gallery of the stars of Game Of Thrones, comparing their current appearance with what they looked like as teens and young adults. The results are all over the place. For some younger stars, like Lady Margaery Tyrell’s Natalie Dormer and Grey Worm’s Jacob Anderson, they look pretty much the same. Viewing pictures of older characters played by the likes of Stuan Rodger, Charles Dance, and Dame Diana Rigg reveal actors who were quite fetching in their prime. 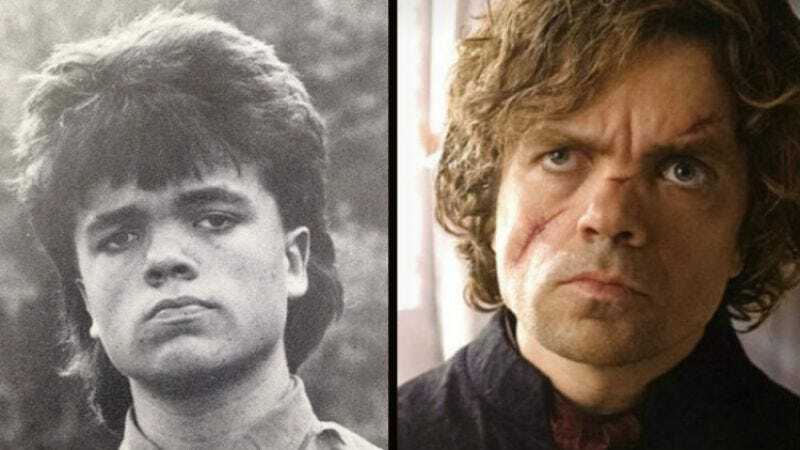 And then there is the “fortunate to have grown out of that hairstyle” category, populated by the likes of Littlefinger’s Aidan Gillen and the insane mullet of young Peter Dinklage.